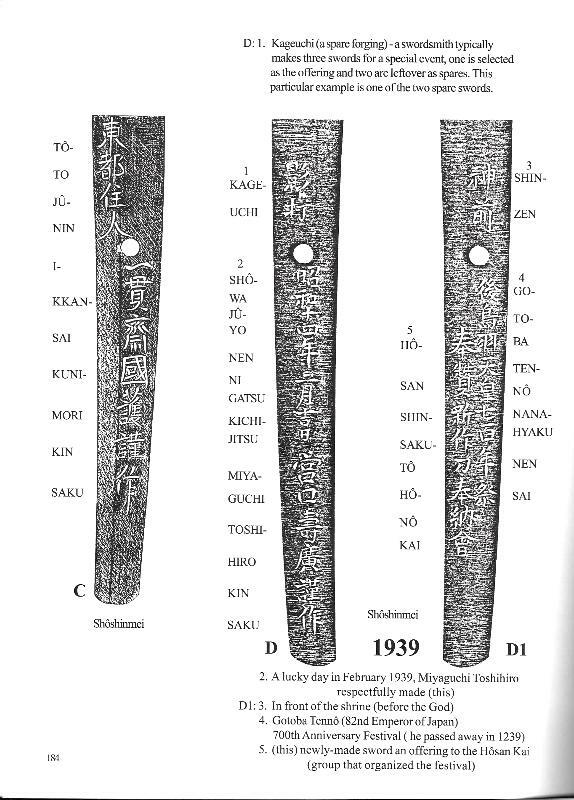 A tachi signed, Toto ju nin Ikkansai Kunimori Kinsaku, Hisakatsu (to concur without fail) dated, Koki Nisen Rophaku Yon Nen Roku Gatsu Kichi Jitsu, (An auspicious day in 2604 years sixth month after the founding of the empire) June 1942. Shinogizukure, iroi mune, short chukissaki. The nakago is slightly suriage and machiokure. Hawatare 2 shaku 2 sun 0 bu 7 rin (66.9 cm / 26.34") Motohaba: 3.15 cm. Sakihaba 2.31 cm. Kasane: 7.7 mm. Choji, togare choji midare in rolling gunome hamon. Ashi iri, Wide soft nioi habuchi. Nado. Tight moist itame hada. Mounted in very good quality WWII shinguto koshirae in very good condition. The only problem that I can see is that there is a screw missing that secures the end cap on the saya. 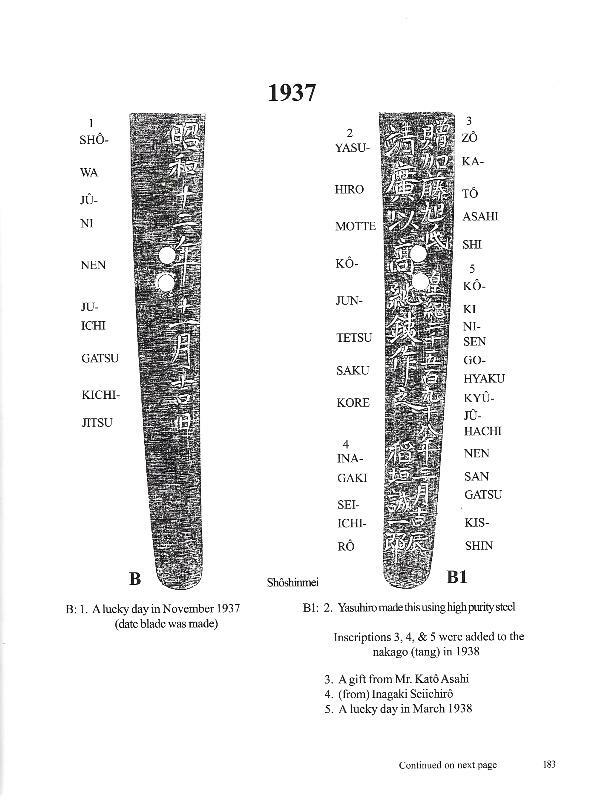 Solid silver habaki. Miyaguchi Kunimori is an alternate signature for Miyaguchi Yasuhiro, Yasukuni Jinja smith (ref. 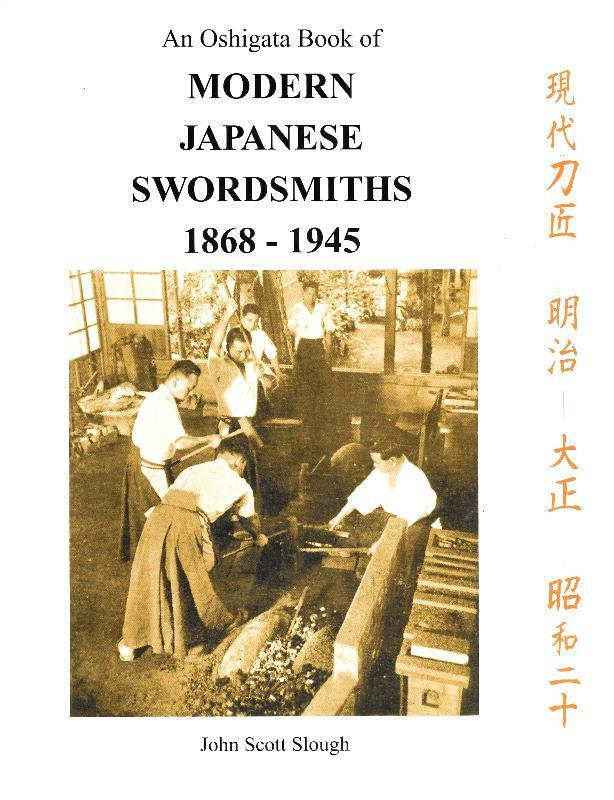 The Oshigata Book of Modern Japanese Swordsmiths 1868 - 1945, by Sough). Rated as a superior grade gendaitoBorn in 1897, he was trained under his father Masatoshi, and studied under Ikkansai Shigetsugu, The Black Dragon Society swordsmith. 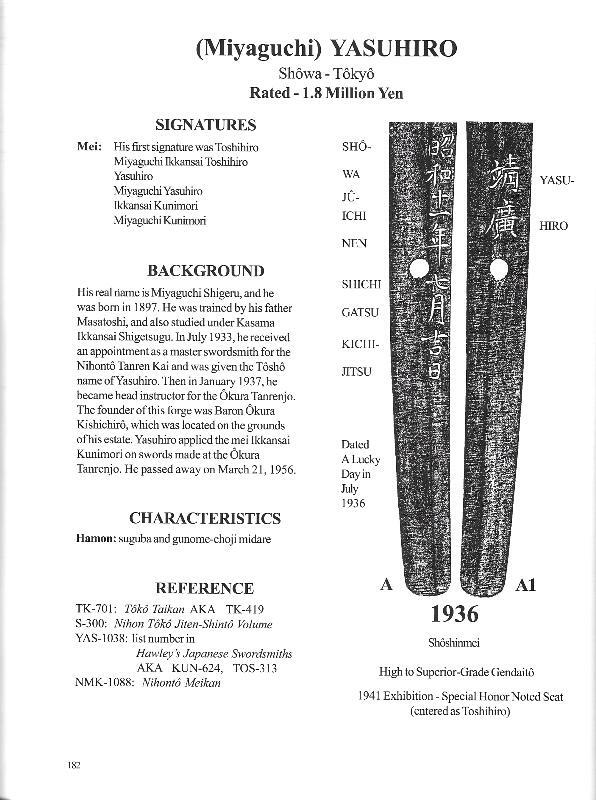 In July 1933 he was appointed tas a master swordsmith for the Nihonto Tanren Kai and given the tosho name of Yasuhiro. In 1937 he became an instructor at the Okura Tanrenjo, on the estate of Baron Okura Kishichiro, and signed his swords as Kunimori.